Addictive buttery Christmas roll-out cookies with buttercream icing. Refrigerate baking sheet of cookies 10 minutes before baking. Bake for 6-8 minutes at 350 degrees, until just browning on the edges. Watch closely at the six-minute mark. Cool and frost or freeze. Separate frosting into two bowls: leave ⅓ white, and color ⅔ red. Stir in red food coloring a little at a time 'til you get the color you like. 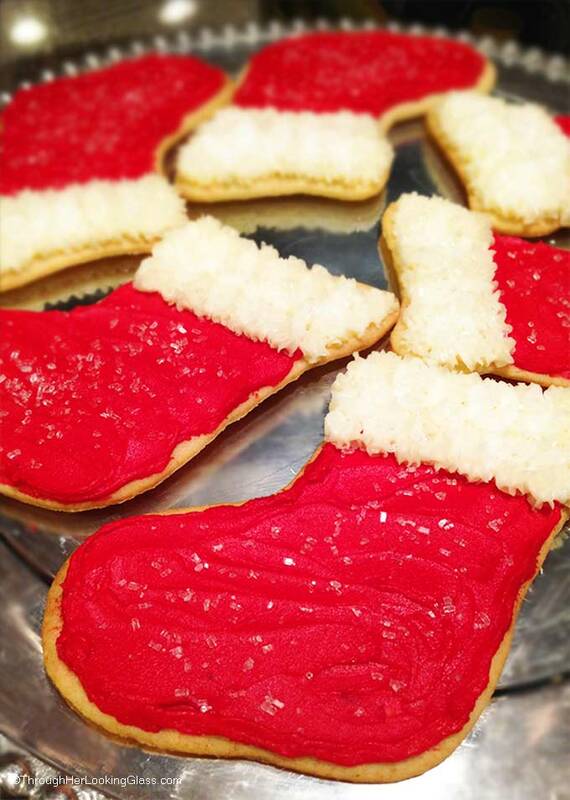 Frost stockings red with the butter knife or spatula. Use a decorating bag and Wilton frosting star tip #16 to make stars on the cuff.